From time to time, I like to share my personal definition of our great sport, a definition that is obviously stated in these three words: Mixed Martial Arts. There are five individual sports/martial arts which comprise Mixed Martial Arts. The commonly mentioned ones are the following four: Brazilian Jiu Jitsu, freestyle wrestling, Muay Thai, and boxing. Arts like karate, catch wrestling or sambo can often replace some of the aforementioned arts depending on each athlete’s fighting background. The fifth art is that what I like to call MMA-specific techniques. Those are hybrid techniques which do not originate from other specialized fighting sports. Techniques like grinding and pummeling against the cage and ground and pound strikes. MMA-specific techniques can also be the result of unique combinations. This is what MMA commentators often refer to as “mixing things up”. The sport of MMA is the unique combination of techniques from totally unrelated disciplines like the use of wrestling to set up punches, striking attacks to set up takedowns, and strikes to set up submissions. 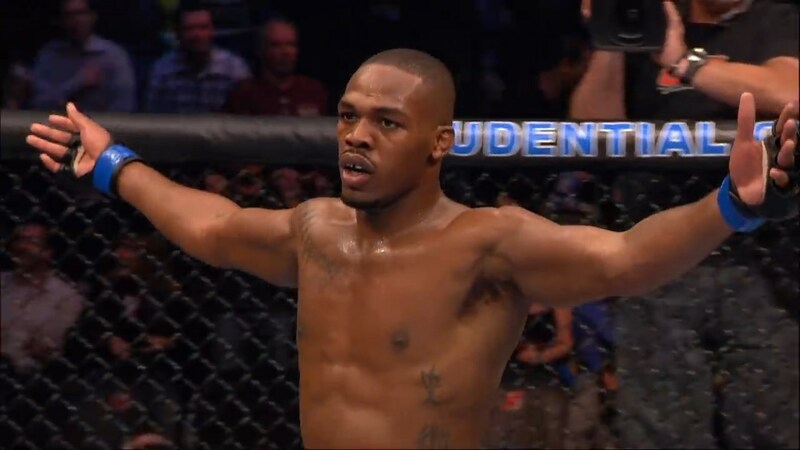 The best pure MMA fighters of the modern era are Jon Jones. Georges St-Pierre and Demetrious “Mighty Mouse” Johnson. They are pretty good at every individual discipline but their strength lies in that they are masters of combining these skills into an art which can beat all other fundamental disciplines. Then there is my definition of MMA striking. a. Hitting opponents from the furthest distance away, exposing the least amount of your body, while getting into position to strike with maximum leverage and not get hit. c. Getting the clinch or pressing against the cage to attack with dirty boxing and clinch fighting strikes in order to neutralize your opponents’ speed, power or reach and make them work while carrying your weight. d. Getting takedowns when your opponents are expecting strikes and connecting with strikes when your opponents are expecting takedowns. e. Delivering ground and pound strikes from dominant positions to punish and cut your opponents with punches and elbows to limit their vision, demoralize them and disrupt their breathing patterns. f. Attacking with strikes from the bottom without exposing your limbs to submissions in order to create space, escape or get a submission. g. Landing strikes when opponents open themselves up to defend submission attempts or getting submissions by isolating your opponent’s limbs when they cover from strikes. Finally, MMA grappling is also unique in that the ability to stand up and disengage from groundfighting attacks can be a winning objective and an art in itself. 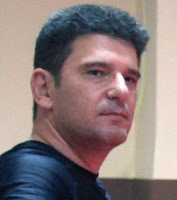 Techniques that can be used to escape from the ground and keep the fight standing are crucial and often neglected or totally ignored in grappling classes. This is a great, aggressive, high-percentage move which should be taught in all MMA classes. Notice in photos 1-3 how Rashad goes on the offensive with a wild left hook while his head moves to the other side, then closes the distance with a right hook to the body, cutting the angle as his head is changing levels moving to his left. This way he closes the distance, gains momentum and goes for an awesome double leg takedown. Here you have a clear example of a true MMA-specific technique. 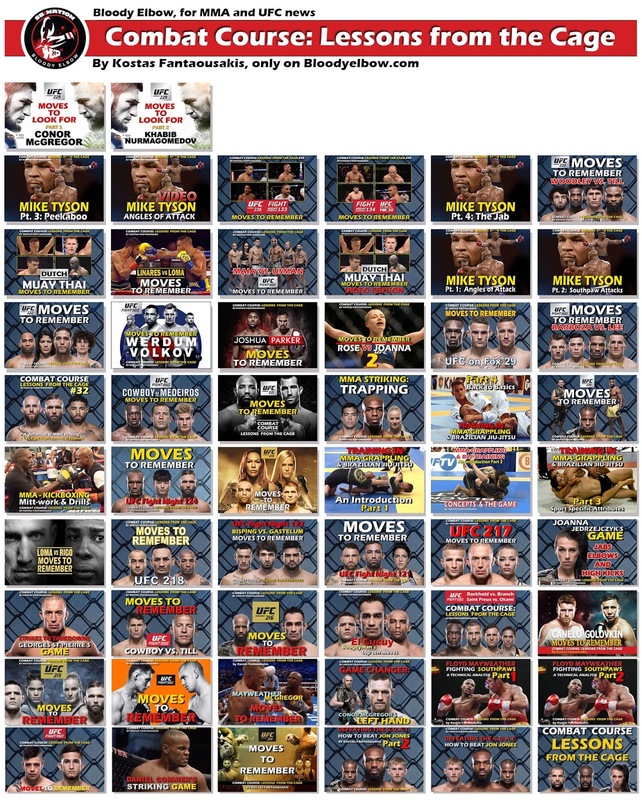 This is neither boxing nor wrestling, this is MMA. The combo has to be applied in a decisive manner, using the Tyson-style offensive mindset of initiating a sequence of techniques designed to cause specific reactions. There is no time to hesitate. This is a quick 1-2-3 technique with a single breath. Should the takedown fail, your opponent will probably be open to strikes. Aljamain Sterling made a mistake in the sequence above by going for the same move twice without setups. Sterling attacked with a left roundhouse kick to the body twice giving Barao the opportunity to counter with a right low kick to Aljamain’s supporting foot, sweeping him down. This is a beautiful Muay Thai counter attack. Generally it is not a good idea to use the same attack twice. Ricardo Lamas landed a vicious low kick to the calf of Jason Knight putting him off balance. This low kick is underutilized in and is impossible to block. To use it correctly though, fighters need to move with penetrating force like a soccer kick while moving to the outside of their opponent’s front foot. The two sequences above are examples of blocking and counterattacking kicks with low kicks. In photos 1-3 Dober blocked a right teep from Burkman by deflecting it to the side with his right arm. This put Josh’s foot in a position for Drew to land a left low kick. In photos 4-6 Drew blocked a right roundhouse kick and landed again with a low kick. 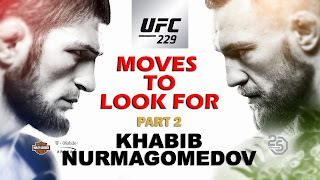 Notice in both sequences Dober’s stance was ready to counterattack with the low kick without telegraphing and wasted movement as speed is essential for counterattacks. Fake jab, jab to the body, overhand right. 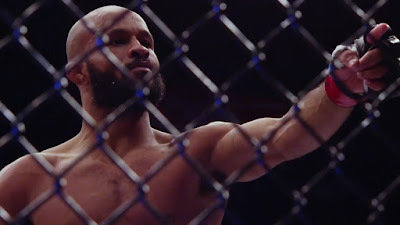 In his fight against Burkman, Dober was able to finish the fight with a fake jab to a jab to the body and then landing with a vicious overhand right. It is nice to see younger fighters set up strikes to the head with fakes and body punches. This is a very effective offensive tactic especially against counter strikers trapped with their backs against the cage. A taller fighter can counter oblique kicks from shorter opponents, as I have suggested before, by kicking towards the side of the kicking foot. In this example, Jon Jones who is longer than most fighters, was able to kick higher and hit Daniel Cormier’s ribs. This is a good counter to oblique kicks especially for a southpaw against a fighter in orthodox stance.